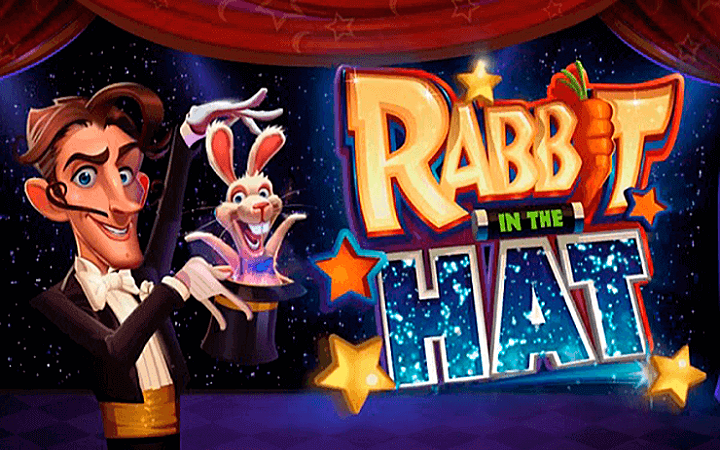 Rabbit in the Hat casino slot game is about magicians and rabbits, who like to hide in hats. Microgaming online slots did an amazing job graphics-wise; this may be the best looking Microgaming game we ever see to date. Graphics are colorful, art-style is comical and funny – overall, this is a very nice looking game. It is also filled with features too, and the payout ratio is quite high: %96. Rabbit in the Hat online slot game by Microgaming released in 2015 and shows the efforts of this pioneer company to catch up with today’s standards. This is a game with 5 reels, 3 slots and 9 pay lines. Where Did That Rabbit Go? The main symbols of the game consist of pictures of theme-related things, such as a rabbit, a magic box, throwing knives and a locked box for water escape trick. The payout range of these symbols is 50 to 1.600 coins. There are playing card signs too, but these are low-valued: 400 coins max. There are two types of wild symbols in the game, both are represented with magician hats. First one has a “wild” sign on it and substitutes for all other symbols. The second one has a “wild reel” sign, and as can be guessed by the name, it covers the entire reel it appeared on once it landed. This expanded reel can also duplicate itself randomly in either direction and turn four more reels into wild. Scatter symbol is shown with another hat picture, it has a “free spins” sign on it. Each scatter symbol awards the player with 10 free spins. If you are not bored by seeing hats, we have two more: the hat symbol with a “cash” sign on it will award you with a random coin prize. Lastly, if you manage to land any hat symbols on reel 5 during the game, you get up to 50 free spins. There may be lots of “hats”, but if you like to play casino slots online, you will love this game too; guaranteed. Coin values are the same for both real-money and free slots no download versions: they can be set between 0.09 and 90.00 coins. (90 coins are also the maximum bet value.) Follow the rabbit and go deeper into the hat: you will find shiny coins.